Here’s something you may not know: beauty products are self-regulated in Singapore. What this means is that they do not require approval from authorities and are directly responsible for all products they sell. 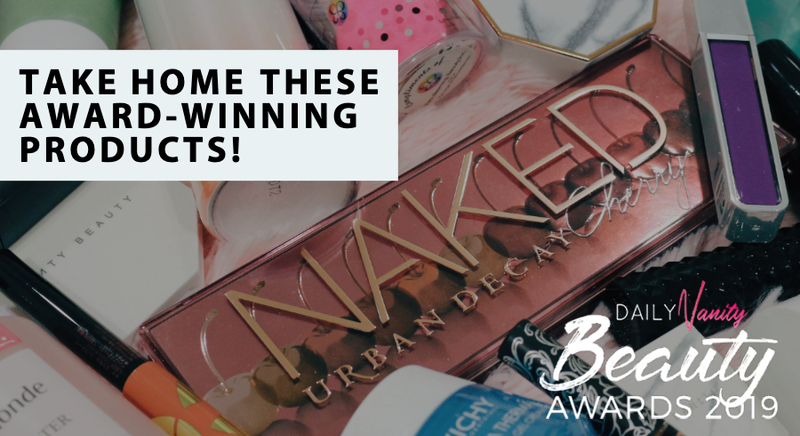 While this allows businesses to introduce beauty products to us more easily, it also means that it is possible that the products that we are using (and even love!) may contain toxic ingredients or unethical formulas. The scary thing? We may never even know the harm they’re doing to our skin till it’s too late to reverse the damage! 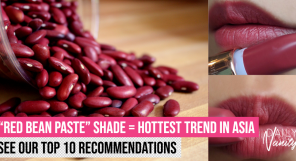 You’ve probably heard of high-profile controversies like the Johnson & Johnson talc cases and a report that says 400 lipsticks were found to contain lead. 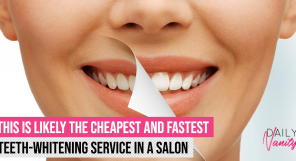 This is probably why “clean beauty” is now a huge buzzword in the beauty industry. We’re seeing more “clean” beauty brands that promise to weed out nasty ingredients from their formula and only using natural – even organic – sources that are not just skin-loving, but also earth-loving. The latest brand to be among the “clean beauty” line-up? Love Beauty and Planet. The brand is all about sourcing for high quality ingredients responsibly and skipping out “nasties” like silicones, parabens, and dyes. Its goal? To make you more beautiful and give a little love to the planet. 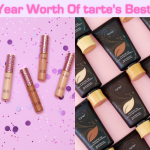 Besides using selective organic and sustainable ingredients from all over the world, the brand also makes sure that everything they use is vegan and cruelty-free. All of its product bottles are also made with 100% recycled materials, except the bottle caps but they said they’re planning to make the switch soon. Go green? We’re on board! Try: Love Beauty and Planet hair conditioner (SGD12.90). 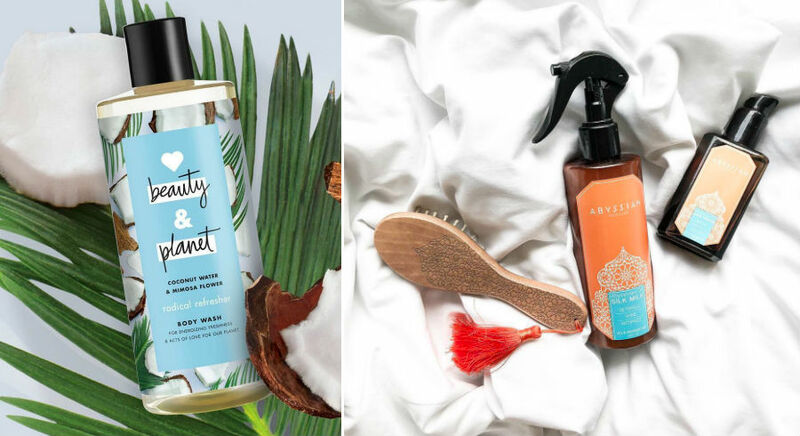 The brand may have a full line of hair and body products but if we were to pick one that we really love, we’d say it’s their hair conditioners. Formulated with a “fast-rinse technology”, they offer superior conditioning while allowing you to get it off with just one rinse – which means you get to save water every shower! Five scents are available but our favourite is probably the Argan Oil & Lavender. 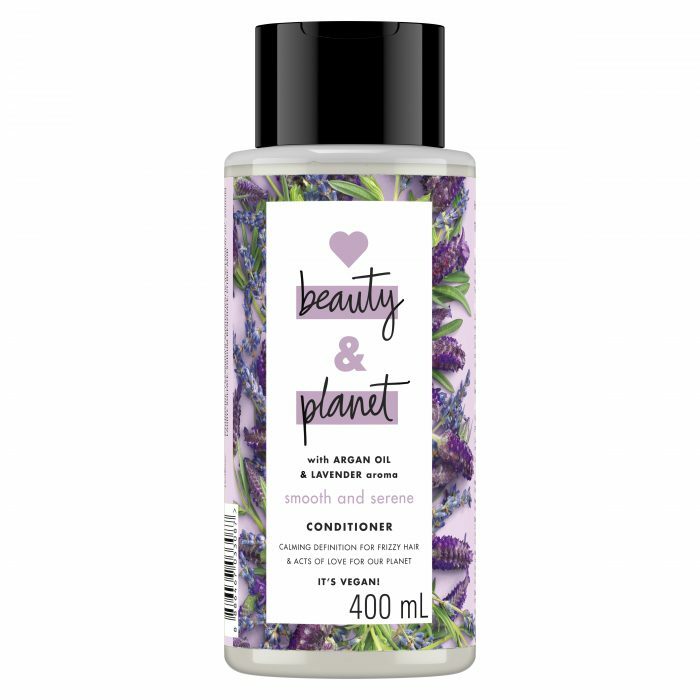 Love Beauty and Planet had a successful rollout across the US and the UK last year, and is now available in Singapore, at selected Watsons stores island-wide, and on RedMart. You can also buy their products from their website. 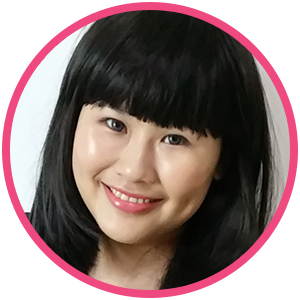 Kew Organics is the brainchild of Singaporean entrepreneur Lily Kew, who used to suffer from acne and scars. 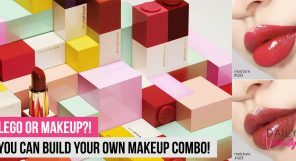 After using prescribed products that she found too harsh and caused her to have even more breakout and sensitive skin, she decided to find her own solutions. This was how her range of all-natural products were born. 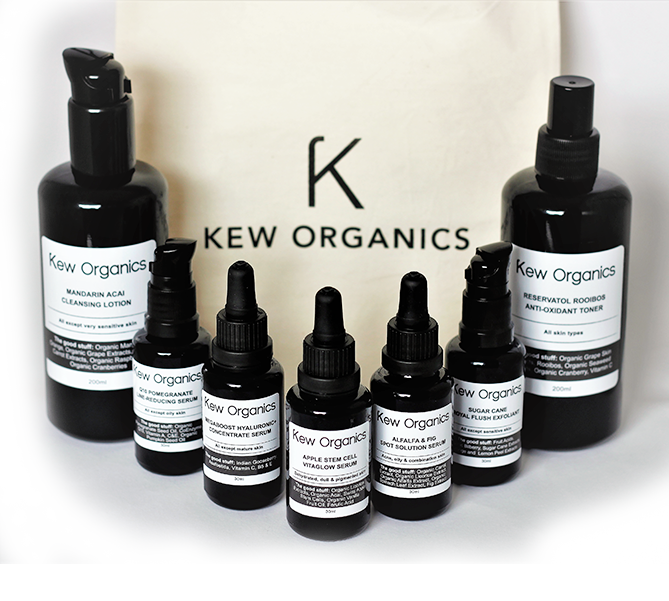 Kew Organics’ products are full of organic and potent active botanicals, and come in lightweight water-based textures that are perfect for Singapore’s tropical climate. 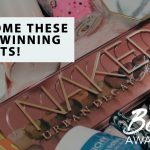 These products are free from synthetic and toxic ingredients, and are also vegan. 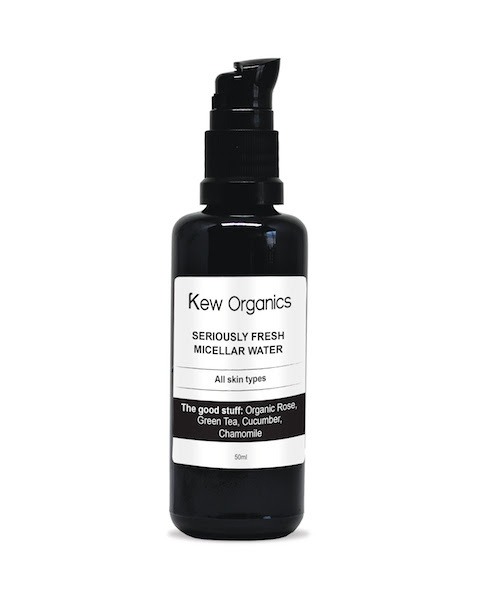 Try: Kew Organics Seriously Fresh Micellar Cleansing Water (SGD38.70). A 90% organic micellar water? You’ve got our attention. This cleanser is loved for being gentle on skin and having a non-sticky texture that feels refreshing. If you’d like to experience organic and clean beauty even further, check out Kew Organics facials and peel bars across various outlets in Singapore. Israeli brand Olea Essence was established by a local family, which started off as olive makers, in Galilee. The brand uses natural ingredients from the Sea of Galilee and unfiltered extra virgin olive oil to create a comprehensive collection including skincare, hair care, and body care products. All products are completely natural and manufactured in an environmentally friendly way. They are also are free from emulsifying agents, chemicals, and preservatives. Try: Olea Essence Olive Wash & Exfoliate for Face. This is a three-in-one product that cleanses, exfoliates, and tones. Crushed olive pits found in the product gently exfoliate your skin and you’ll find your skin feeling supple and moisturised after each wash. 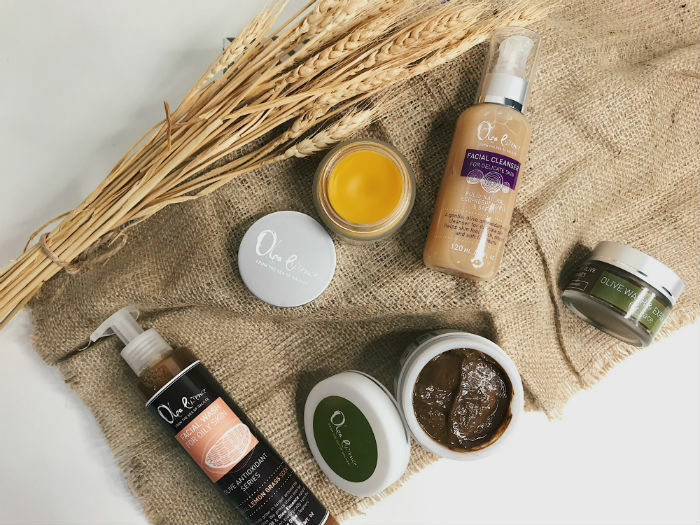 If you’re wondering which other products you should consider, check out our list of Olea Essence recommendations. Olea Essence products are available at Robinsons JEM, Isetan Scotts, Isetan Katong, Takashimaya Level 3, and Mount Alvernia Retail Pharmacy. 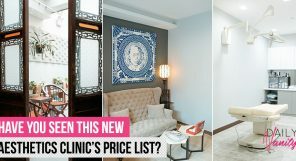 This cult brand landed in Singapore last year and has been quietly capturing the hearts of beauty lovers here. Herbivore Botanicals is probably most recognisable by their minimalist packaging that is super Instagrammable, but that’s not the only reason why they’re so well-loved. Its products are filler-free and are formulated with only pure and highly concentrated active ingredients that are organic. Ingredients are cold-pressed and steam-distilled, and you’ll find no fragrance added – only therapeutic-grade essential oils are used. As a clean beauty brand, Herbivore Botanicals also assure you that they try to keep chemicals out of their formulas. Try: Herbivore Botanicals Mini Facial Oil Trio (SGD42). 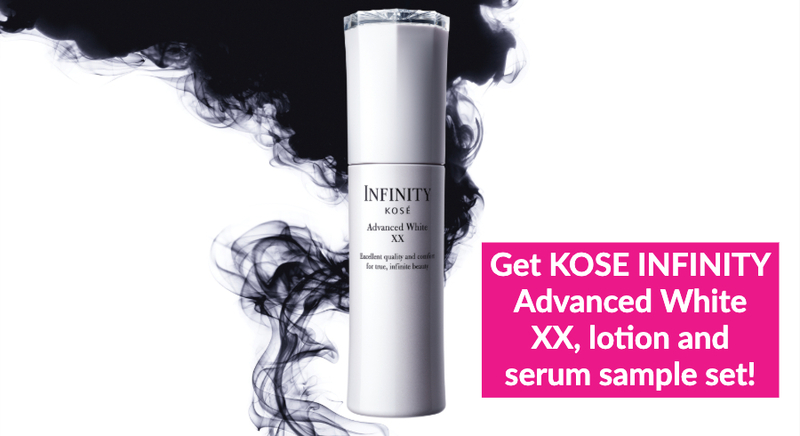 This is made up of three of its latest natural facial oils: Lapis, Phoenix and Orchid. Lapis is derived from the Blue Tansy plant that soothes redness and irritation, Phoenix rehydrates dry skin, and Orchid gives your complexion a dewy glow. 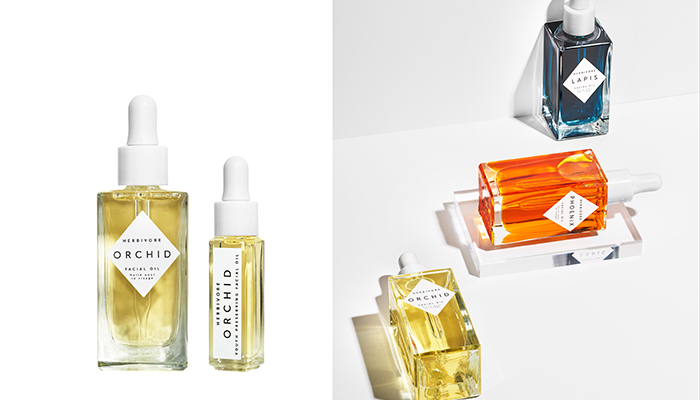 Herbivore Botanicals products are available at Sephora. 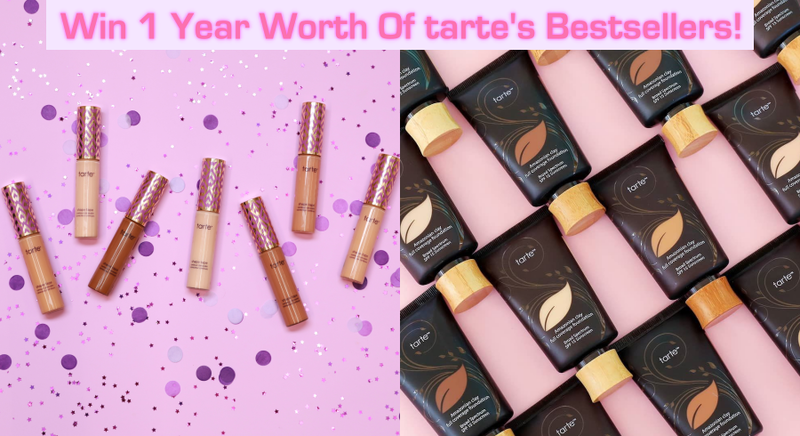 We were excited to know that one of the latest brands to be made available in Sephora recently is Abyssian. It is a luxury botanic hair care brand with products that are made up of 99% plant-derived ingredients. A special mention has to be given to its star ingredient, the Abyssinian oil, which is harnessed through a cold-pressing process, and is what powers the healing and protective abilities of their products. 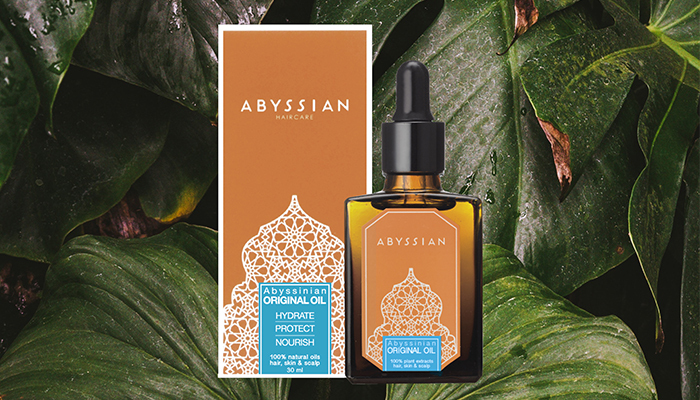 Besides committing itself to using only quality botanical ingredients, Abyssian also believes in giving back to the environment by planting a tree for every product it sells. 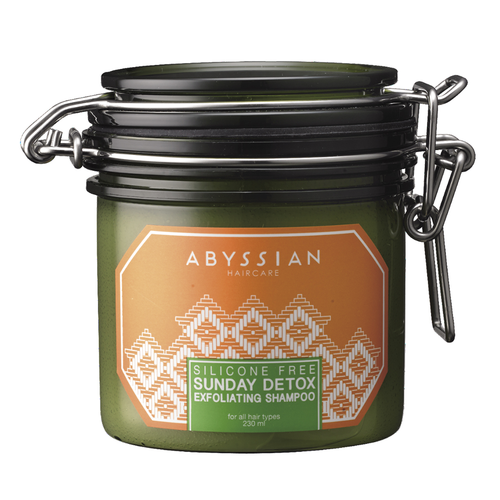 Try: Abyssian Sunday Detox Exfoliating Shampoo (SGD56). This purifies and soothes your hair and scalp – something that most of us who overuse haircare products would need. Abyssin Haircare products are available at all Sephora. Founder Indie Lee was diagnosed with brain tumour in 2008, and was told by the doctor that it could have been caused by what she has been putting on her skin. 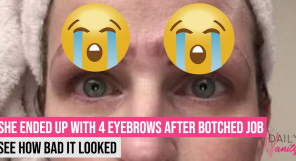 Thankfully, she survived this episode and it also inspired her to start her beauty brand, which focuses on clean skincare. While the brand is not fully organic or natural, it promises safe-formulas that are effective and healthy. 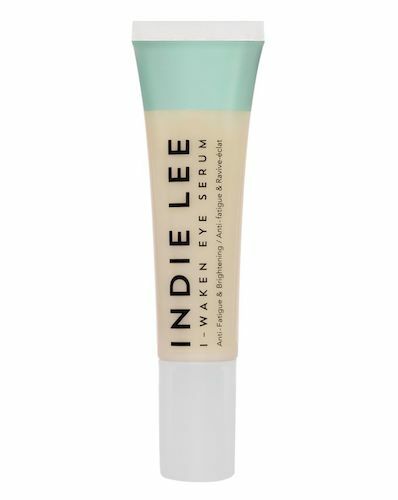 Try: Indie Lee I-Waken Eye Serum (SGD71). This lightweight eye serum soothes, hydrates, and rejuvenates your eye area. You’ll find yourself looking more bright-eyed, thanks to how it gives the delicate eye area a smoother, firmer appearance. 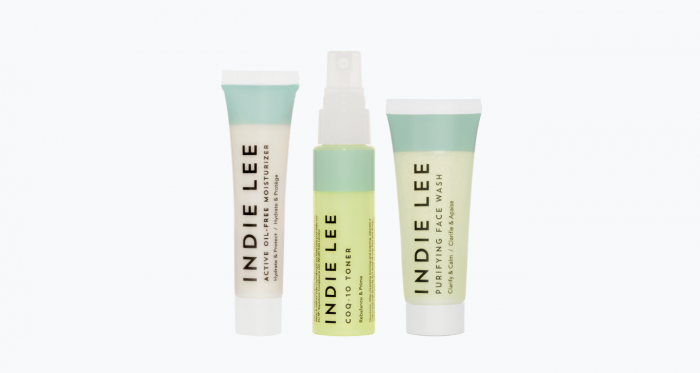 Indie Lee products are available at all Sephora stores in Singapore. Rimon is probably most known as a winery and as a specialist in pomegranate-based products for more than a decade. The brand later branched into producing top quality pomegranate-based skincare products, tapping into the ability of the vitamin- and antioxidant-rich superfruit to improve complexion. Besides using only natural ingredients, the brand is also committed to formulating products that are free of parabens and SLS, and are not tested on animals. 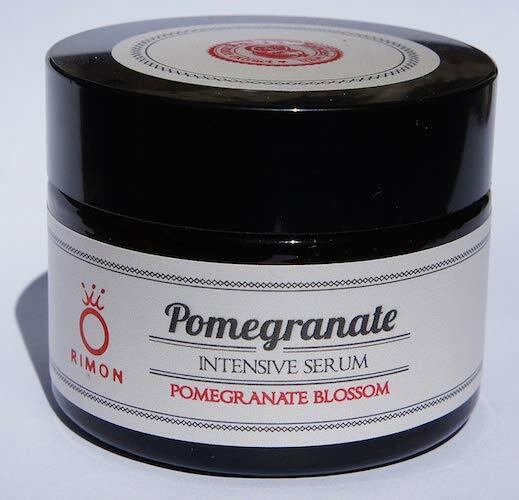 Try: Rimon Pomegranate Intensive Serum. This is enriched with a complex of natural superfruit extracts including pomegranates, cherries, berries, and grapes, to powerfully fight free radicals. 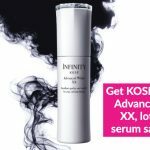 Nourishing and moisturising skin intensely, this serum is also excellent as a makeup base and is suitable for all skin types. 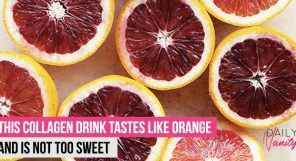 Rimon Pomegranate products are available at Robinsons JEM and Heeren, Isetan Scotts and Parkway, Takashimaya Level 3, and Mount Alvernia Retail Pharmacy.